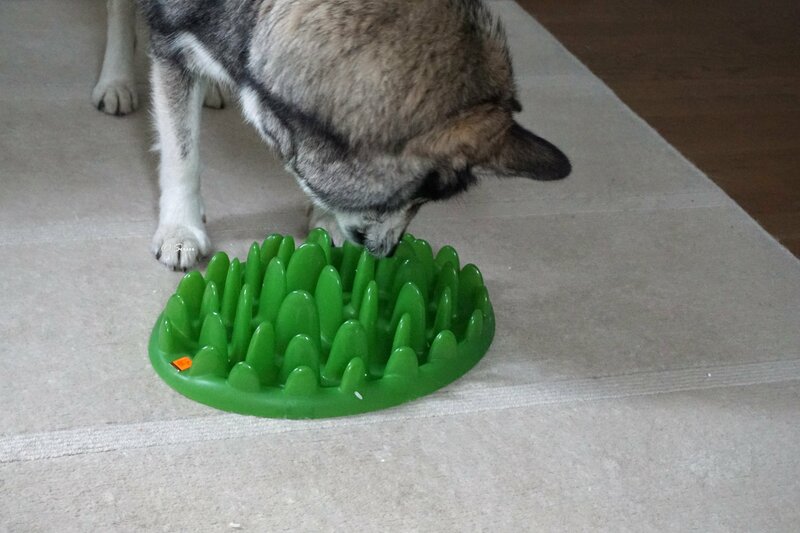 In addition to normal food bowl, we have this slow feeding bowl that mimics grass, and this one is the larger one of the two available sizes. 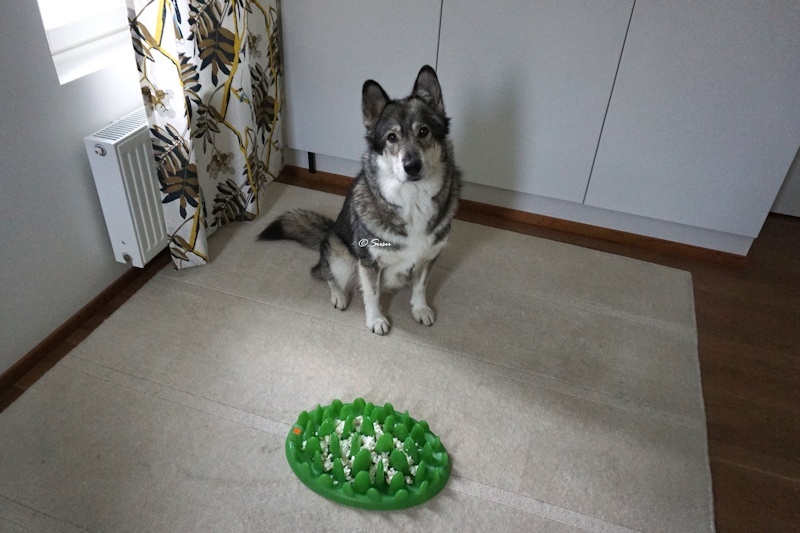 It’s very seldom that we give any food to Miki in a bowl. 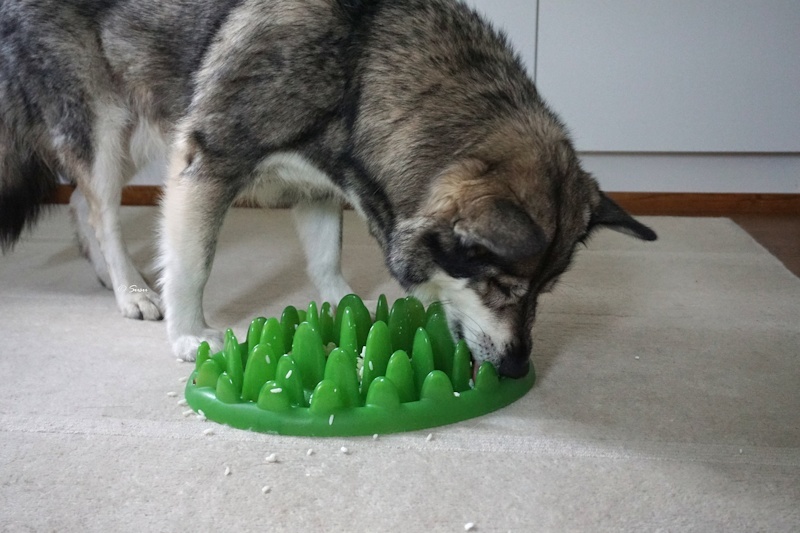 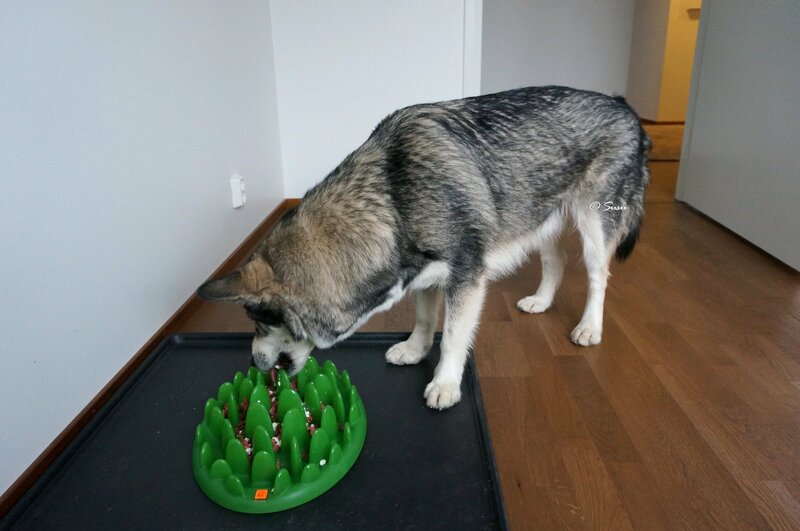 Miki normally gets his daily portion from some brain games, treat dispensers or as a reward for learning new tricks. 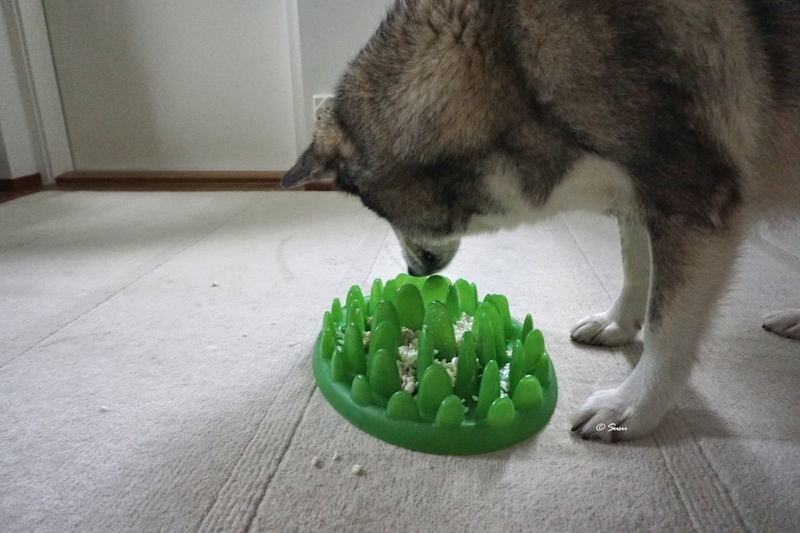 But this Northmate slow feeding bowl is a good buy. 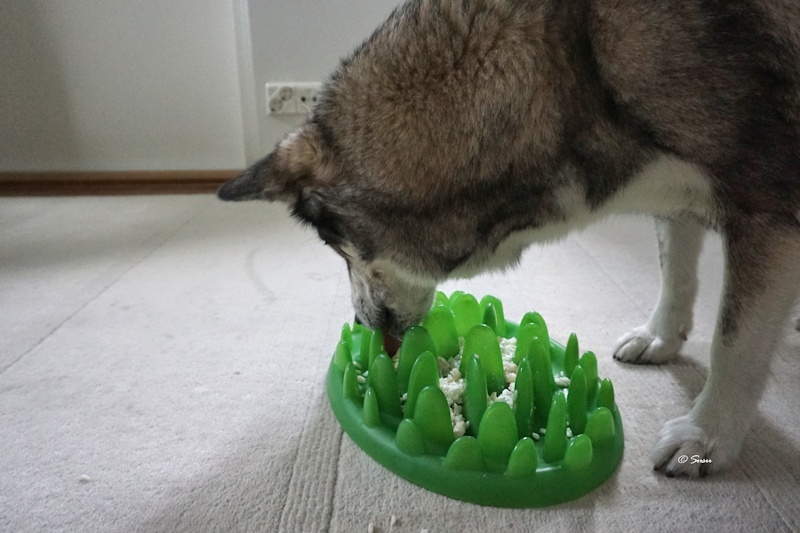 It takes Miki about 5 to 10 minutes to lick the bowl clean.